Please be aware that as of Monday 25th September 2017, a new Automatic Number Registration Plate system will be implemented in all of our car parks. The parking restrictions will be in place from 6am-1pm Monday to Friday each week. Anyone who exceeds the 4 hour limit during these times will be served with a Parking Charge Notice. The system will be managed by Cushman and Wakefield and Horizon Parking. Read our FAQs below which are designed to answer any questions you may have on this new parking system. Q Why is this system being introduced? It has been necessary to implement this system as The Quay’s car parks have been regularly used by city centre commuters who are not using the facilities and services at the complex. This has resulted in our customers finding it difficult to park when they visit. Q When does the new car parking system come into operation? Q What are the time restrictions when the Automatic Number Registration Plate system will be in place? Monday to Friday between 6am and 1pm each week and customers are allocated a maximum 4hr time period to be on site. You will be able to park more than 4hrs outwith these times and at evenings and weekends as the system is not in operation at these days/times. Q Who is managing this new car parking system? The system will be managed by Cushman and Wakefield, the managing agents for The Quay Glasgow and Horizon Parking. Q What if the 4hr stay is exceeded during the times when the system is in operation? 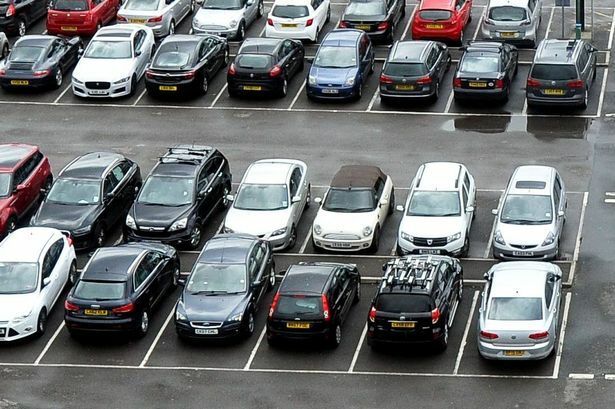 If a car exceeds the stated allocation time, then Horizon parking will issue a fixed parking notice and this must be paid directly to Horizon parking. Q What if genuine customers have accidently exceeded the time duration? If a customer has accidently gone over the 4hr limit during the Mon – Fri 6am -1pm time restrictions and has valid receipts to prove that they have been using the facilities on that particular day and the times correlate to their stay, this evidence must be submitted to Horizon parking when they receive their parking charge notice. Q Who do you contact should you require more info or if you receive a parking charge notice? Q Are all car parking areas at The Quay included in this new system? Yes, all areas of parking both outside and inside at the multi storey are included. For a full list of FAQs, please click HERE to read all of the info from Horizon Parking.